This press release, announcing Bank of America’s first 15 Talking ATMs, was issued as a result of the first Bank of America settlement agreement. The agreement was negotiated by Lainey and Linda Dardarian using Structured Negotiations on behalf of the California Council of the Blind (CCB) and several individual blind advocates. The Disability Rights Education & Defense Fund (DREDF) also represented the Claimants. As of early 2008, the bank has installed more than 11,000 Talking ATMs. Talking ATMs provide audible instructions to persons who cannot view information on an ATM screen. These machines make it easier for blind users to withdraw cash, deposit money and perform other transactions. 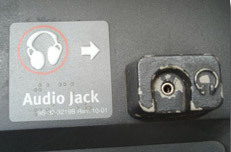 The ATMs have audio jacks that deliver spoken instructions privately to protect the security of blind and low-vision users. Bank of America, in conjunction with the California Council of the Blind and several blind individuals, announced its decision in March to install talking ATMs at each ATM location throughout its national ATM network. Over the next three years, more than 2,500 talking ATMs will be installed in California and Florida — the first states to get the machines. For more information about talking ATMs, customers may contact Bank of America at 1-800-ENABLEU for assistance. States. It has full-service operations in 21 states and the District of Columbia and provides financial products and services to 30 million households and two million businesses, as well as providing international corporate financial services for business transactions in 190 countries. Woodland Hills Promenade, 6100 Topanga Canyon Blvd.